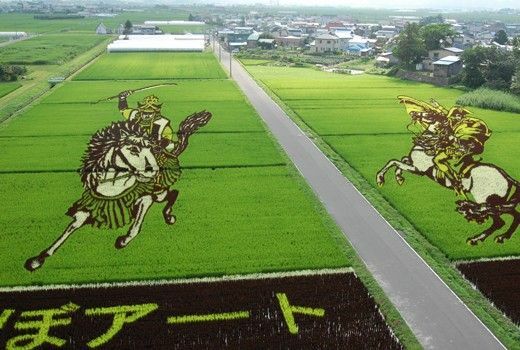 My Japanese friend Shizuko Ohno sent me a few pictures that I’d like to share with you: they show huge agricultural works of art in the rice paddy fields of Inakadate, a village located in the Aomori prefecture, northern Japan. Using green, purple and yellow-leafed rice, the villagers design and plant their rice, precisely plotting out the colours which bring the images to life. As the rice grows, the art becomes apparent from an elevated position, with the best viewing time in July. In 2008, the resident designers began using computers to plot their works, allowing for increased detail in the images. Each year, since 1993, residents choose a different theme, often inspired by folk tales or historic figures. 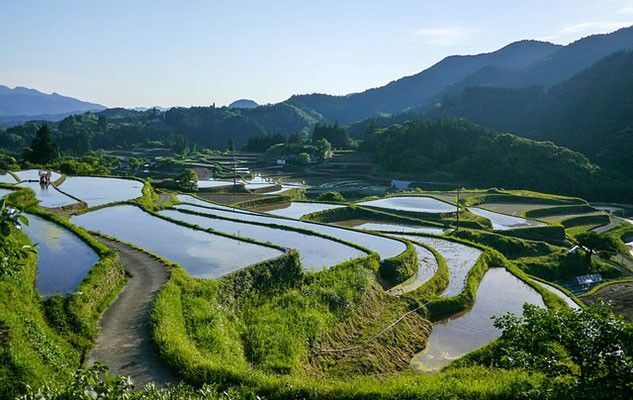 Alas, the rice field art will only be visible until September when the rice will be harvested, leaving locals to think about next year’s creations. If you are planning a trip to Japan in summer, you may want to include Inakadate in your itinerary.